Shootings in the United States — the spectacular ones, that is — tend to follow a pattern now etched in social response. The culprit, estranged and ill, plots revenge over a grievance, actual or perceived. A lethal arsenal is accumulated, assisted by carefree regulations, poor background checks, and rudimentary efforts made to plan an attack. When inflicted, the damage is often catastrophic. Shootings in US schools, however, demonstrate an inner disturbance that is even more profound than standard mass killings. Criminology, that most imperfect of social sciences, struggles to peer into such minds, and finds, as the authors of a work on mass shootings in the US surmised on Cho Seung-Hui of Virginia Tech, a 'history of mental illness and a skein of red flags popping up since he was a child'. They often feature former students, disgruntled and corroded. They are dormant psychotics, primed for triggering. The teenager accused of the shootings in Parkland, Florida's Marjory Stoneman Douglas High School was one such figure. Before the court, the accused, Nikolas Cruz, had the arm of his attorney around him. The shooting was the 17th school shooting incident this year, involving the wounding and death of students. With the infliction of 17 deaths, it had the dubious honour of being the deadliest since 26 people lost their lives at Connecticut's Sandy Hook school in 2012. Cruz had been active, noisily so, on social media. Word got around that he was intent on becoming a professional school shooter. That alert came from a YouTube post from user Ben Bennight, who contacted the FBI for some 20 minutes. "Focus in responding to such killings involves two tracks. Rather than being seen as intertwined, critics prefer to segregate the issues. One is the character of the killer. The other is the character of the society that fosters him." Focus in responding to such killings involves two tracks. Rather than being seen as intertwined, critics prefer to segregate the issues. One is the character of the killer, disturbed, isolated, the ignoble bad apple; the other is the character of the society that fosters him. Far easier for gun enthusiasts to focus on the former than the latter. A common deflective approach, one taken by White House Press Secretary Sarah Huckabee Sanders, is that a mass gun shooting should never permit a debate on guns in light of the grief it causes. Praying is better than legislating. To that end, the louse that tends to crawl out of the locks in these cases is always gun control, or its conspicuous lack. 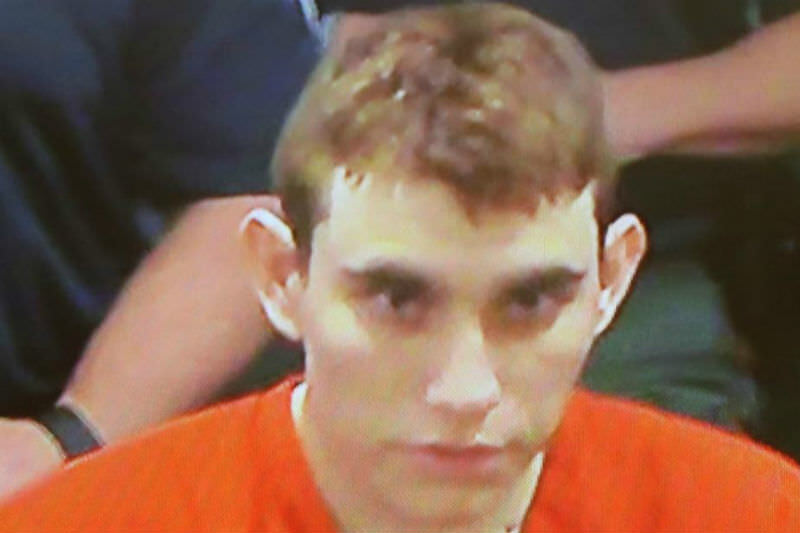 Cruz assumed the visage of a murderous combatant in an urban setting, sporting that now unsettling symbol of gun freedom: the AR-15 rifle. The description by Sheriff Scott Israel for the press was not that of a civilian but of an urban guerrilla's exploits. Each massacre prompts a furious round of discussions, speculations and suggestions. Each time, the pro-gun lobby, infused with an indignation fuelled by the protective armour of the constitution, succeeds in limiting change. Such actions demonstrate the sometimes cruel reality that change in the US is rarely conditioned by paternal legislation. The cult of individuality is all powerful. Florida remains, to that end, both test case and problem. Last week, the Judiciary Committee of the Florida House of Representatives, by a vote of 14-6, passed HB-39/SB 148, a bill affirming the position that a person licensed to carry a concealed weapon 'does not violate the law if the firearms is temporarily and openly displayed'. The bill is one of 11 on the Florida legislative agenda, including instruments that would permit concealed weapons permit holders to carry firearms on school property 'if a religious institution is located on the property'. They constitute fruit of campaigning by the National Rifle Association, which proudly declares 'its ownership of Republican state legislators' in some three quarters of the 50 states. It also supplied some $10 million to the Trump presidential campaign. Unfortunately for Stewart, the mass murderous gun, even in the hands of a disgruntled teenager, remains a manifestation that will linger in the face of legislative apathy and constitutional fervour. A civilised society may, according to Stewart, not require such guns, but US civilisation expresses a certain frontier brutality that refuses to abandon them. Such an essence has proven nigh impossible to change. The right to bear arms. What about the responsibility? On the news coverage it was heart-rending (again) to see a mother scream at the camera about getting rid of the guns. It's the cowboy culture, the rage of a society where profound inequality is the norm and the apathy of those who don't want to know. We grieve for those in South Florida and in so many other places because of gun violence. But we know that our sorrow must lead us to changing the systems that support violence and death. There are terrible social sins woven into the fabric of our societies. We need to engage in political advocacy and personal action to help prevent such violence and death. Gun reform is urgently needed but so are other social reforms. An even bigger issue is climate action. Catastrophic climate change will kill vast numbers of people and create millions of climate refugees. Sadly the US President is a climate change denier, and many national governments, including the Australian Government are doing far too little to combat climate change. Don't sit idly by while our planet cooks and the lives of our grand-children are placed in terrible jeopardy! Act now to save our children from gun violence and to save them and their children from the ravages of escalating catastrophic climate change. Reasoned and logical when what is needed is fury, anger. Seventeen school shootings - not in Baghdad or Haiti or some third world place still living in the 19th century, but in the USA. It is the kind of place that if you said "the problem is that there are too many schools; ban schools and there would not be so many shootings" you would find the civil rights mob citing freedom of speech to those who condemn you. I hope this country realises the debt they owe to John Howard and his reaction to the Tasmania shootings. And some of his own followers are now trying to roll back that legislation. Binoy, I would like to suggest that it is the culture of narcissism that is at the base of this death-dealing society. Individualism can come about because of the lack of mutuality, and respect for diversity, in groups, communities, nations, and societies. When the "expert" is the only person who is permitted to know anything that society will listen to ... and knowledge gets "professionalised" ... no wonder a person who doesn't feel like they belong (or even 'can' belong) sees options that are death-dealing and harmful to themselves and others. What sort of culture generated this young man's capacity to undertake such violence? " ... a certain frontier brutality" ... indeed. The USA obviously hasn't learnt the truth of impermanence! Mary, isn't it just possible that an exaggerated "respect for diversity", aided and abetted by the programmatic moral and social deconstructionism summarised in Ross Howard's comment above, is a significant contributing factor to the cult of individuality identified in the title of Binoy Kampmark's article?